Sequestration of therapeutic agents in endosomes and lysosomes represent a major barrier to several types of cancer therapies. Another obstacle is notoriously therapy-resistant cancer stem cells (CSCs), which are suggested to be important contributors to tumour heterogeneity. Accumulating evidence proposes CSC to be drivers of many types of cancers due to their ability to both self-renew and differentiate. Even though the tumour shrinks during cancer therapy it will unfortunately in many cases relapse after end of treatment due to the survival of the CSCs. Hence there is a high need for novel technologies that target and kill CSCs. We are using the intracellular drug delivery technology, photochemical internalisation (PCI) to release immunotherapeutic agents, e.g. 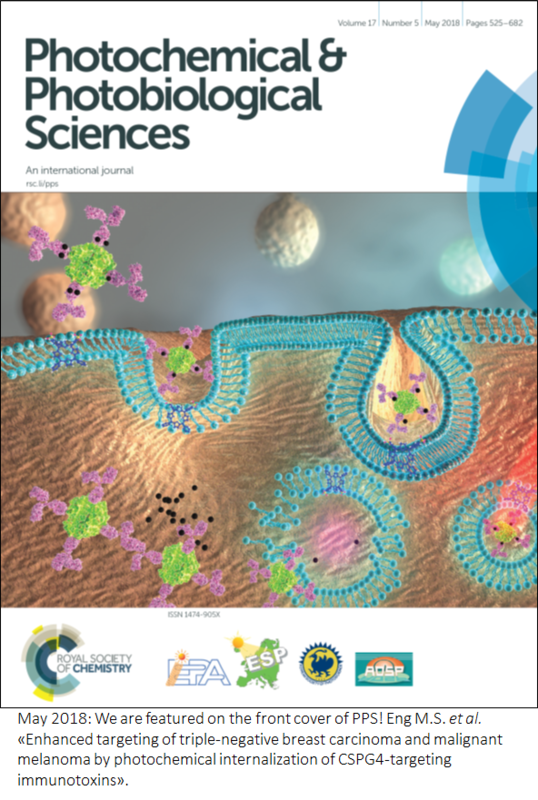 CSC-targeting monoclonal antibodies linked to protein toxins (immunotoxins) or cancer vaccine antigens, from endosomes and/or lysosomes into the cytosol of cancer cells. 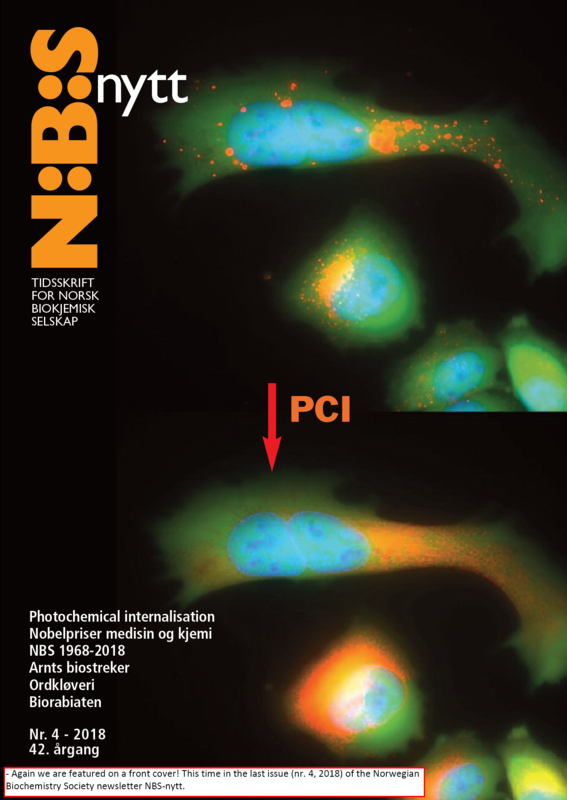 By other words: PCI overcome lysosome-mediated drug resistance. 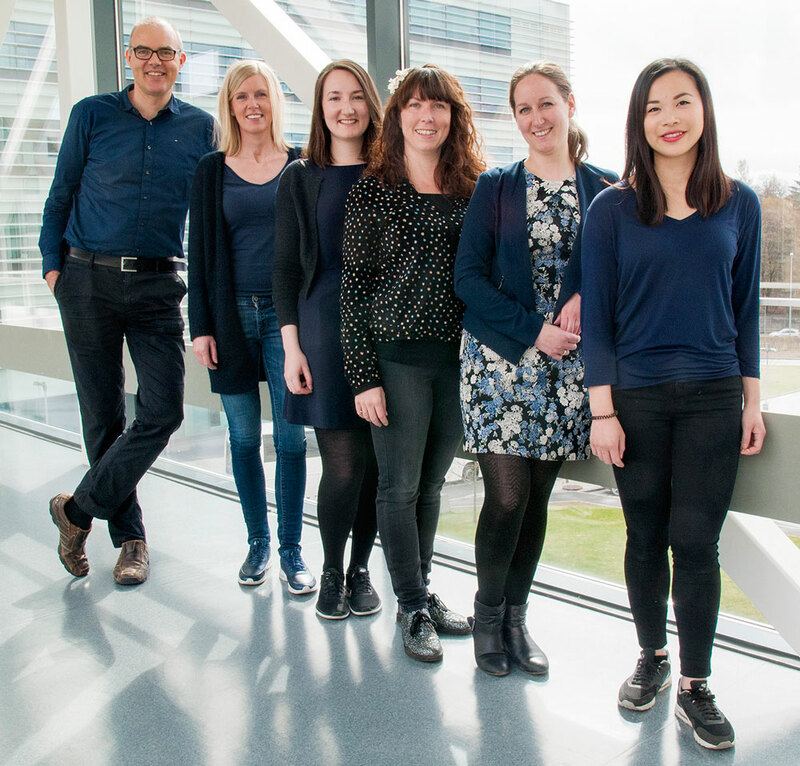 The main goal of our project group is to develop and explore novel light-controlled strategies to enhance the efficacy and the specificity of cancer immunotherapies. 2) PCI of cancer stem cell-derived vaccine antigens.